What spurred reports of an active shooter at Ben Taub Hospital? HOUSTON (KTRK) -- Someone yelling about a gun may have sent Houston's busiest hospital into a panic Tuesday, forcing a full evacuation. Patients were wheeled out in hospital beds, some still attached to medical equipment, as heavily armed police officers rushed into Ben Taub Hospital following reports of an active shooter around 2pm. An all-clear was given two hours later after Houston police conducted two searches through the hospital's six floors and basement. VIDEO: What does a code white mean during an emergency? What happens when a code white is issued at Ben Taub Hospital? Houston Police Chief Art Acevedo said there was "no evidence of shooter or shooting." "We responded very quickly and searched this hospital," Acevedo said. He said the hospital responded appropriately to the situation. "I am confident that if there was a threat, that threat is not here now," he said. After initial reports, hundreds of staff, patients and family members were evacuated from the hospital, and no one knew exactly why. "Everybody panicked and started running out," described one man who was at the hospital with his wife, a patient. After a preliminary investigation, authorities have found neither a suspect nor victims after reports of an active shooter at Ben Taub Hospital. "They locked us all down and told us shots fired," said another woman. Witnesses at the scene described hearing an indistinguishable noise as everyone ran for the exits. The source of the scare seemed to have come from the second floor, where Barbara Mushinski talked to people in an office next to hers. "They said they heard gunshots. Someone said put down the gun and they all went into a room and locked themselves up," Mushinski, a nurse, said. ABC13's Pooja Lodhia is live on location at Ben Taub hospital. Law enforcement sources tell Eyewitness News someone just yelling about a gun might have ignited the response, though a few people claimed to have heard gunshots. "The bottom line is there are multiple people that heard 'drop the gun,' and right after that, they heard two loud bangs. I mean, it's a hospital," said Chief Acevedo. "Who knows what the bangs were? But I believe the hospital responded appropriately, following their protocols, and the police department did a phenomenal job." Police found no bullet holes, no gun, no spent shell casings, no victims and no shooter. Investigators will review hospital video as part of their investigation. ABC13's Pooja Lodhia is live at Ben Taub Hospital with a witness describing the scene. In October, a Harris County sheriff's deputy shot and wounded an inmate at Ben Taub Hospital who was holding a female medical student hostage. Police said Ricky Lynn Hall took a piece of metal from inside of a pair of headphones provided by the hospital and made one end into a point that he held to the student's throat. 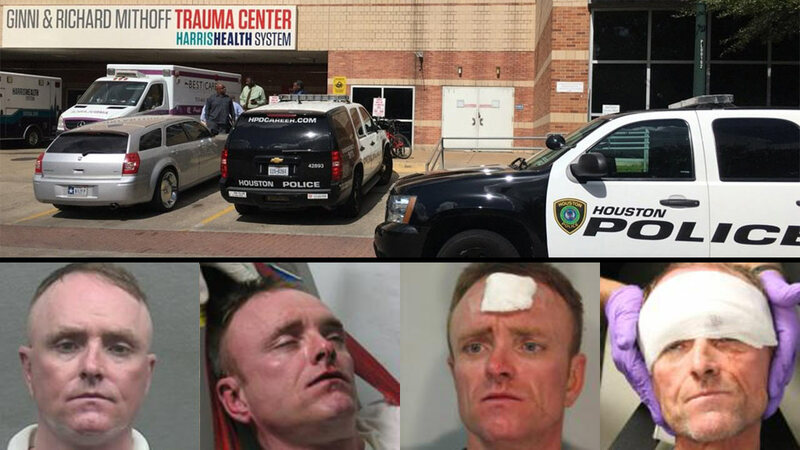 Houston police say the suspect who was shot by a deputy inside Ben Taub Hospital had held a female medical student hostage with a metal object. PROGRAMMING NOTE: Due to our breaking news coverage, General Hospital was not seen. Today's episode will air overnight at 1:37am.